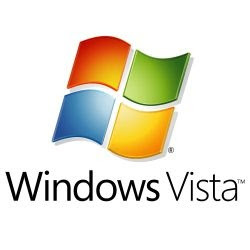 Windows Vista Service Pack 2 is close to the version of the Release to Manufacturing (RTM). Now, the version of Release Candidate (RC) is the operating system can be downloaded. "Weekends, we announced Service Pack 2 for Windows Vista and Windows Server 2008 has achieved important stepping stone in the development, the Release Candidate version," a Brandon LeBlanc, Windows Communication Manager, as quoted from Softpedia, Friday (27/2/2009) . Unfortunately, pengunduhan is still limited to the customers Microsoft Development Network (MSDN) and TechNet. The first time they have the right version of RC menjajal Vista. Previously, the service pack version has been tested both in the Microsoft developer community and professional information technology. While the end-user (end user) must be patient to wait longer for public release Vista SP2 RC. "We will soon release a version for the RC can be downloaded and tried all the people," added Brandon.